The hotel celebrates the spirit of Frank C. Reikart, a legendary local Amherst character from the early 1900s. Frank and his co-star wife, Dolly, were known throughout town for their entrepreneurship, hospitality, and colorful personalities. Frank—a musician, entertainer, inventor, barber, photographer and ice cream man—could often be seen with his capuchin monkey, Jacko. 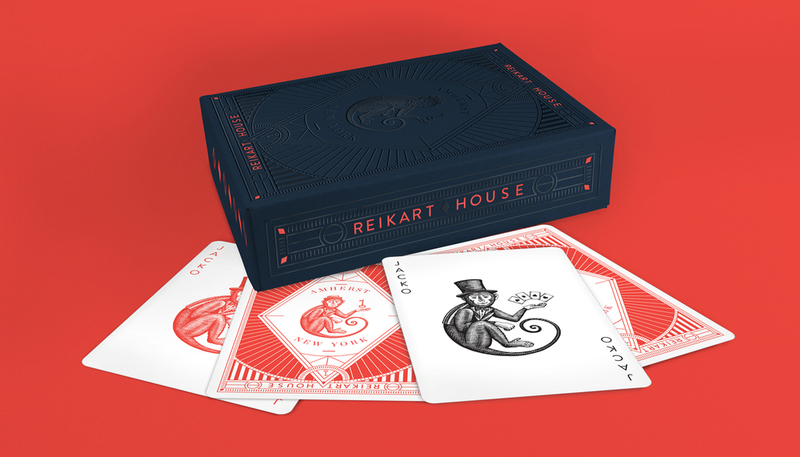 Reikart House will offer guests a memorable stay featuring moments of delight and wonder. 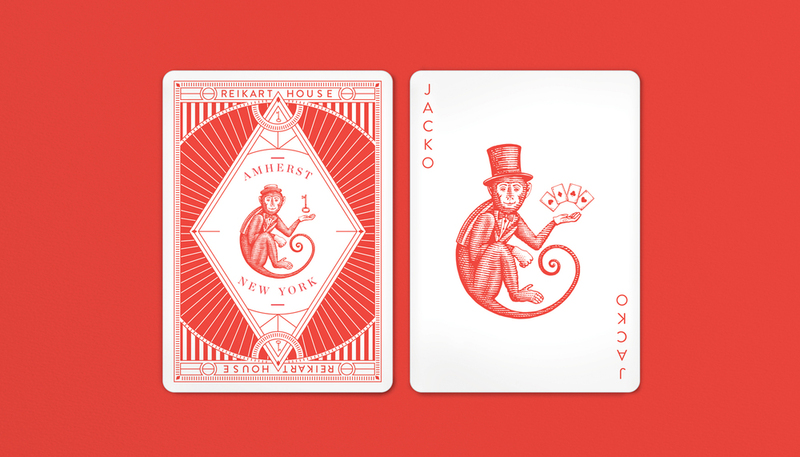 The logo uses a custom woodcut illustration that brings the monkey Jacko to life while representing Frank’s colorful background through the clothing. 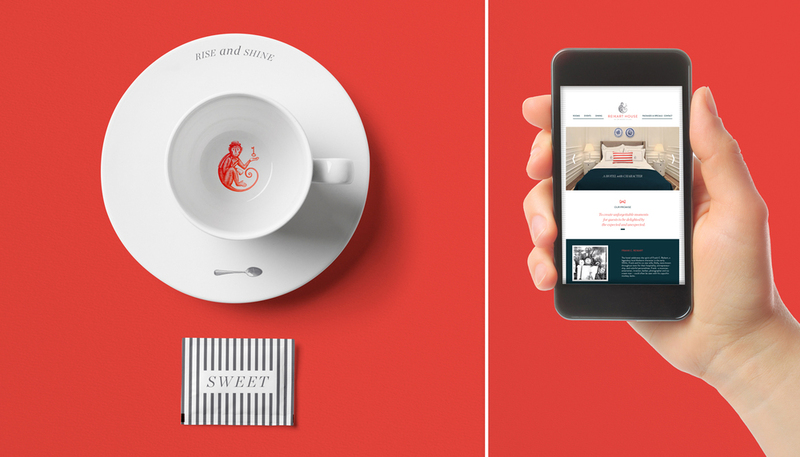 The illustrations and bright red add charm and intrigue that balance the modern and sophisticated accommodations. Gettys partnered with Iskalo Development to renovate and re-brand a hotel in Amherst, NY. To create a boutique hotel stay that attracted guests looking for a hotel with personality and local charm. Logo, brand identity, story, art direction, and the development of select touchpoints / experiences that bring the brand story to life.